Coretec One, Coretec Plus, Coretec XL by USFLOORS 100% Waterproof 100% Kid Proof 100% Pet Proof Come check it out!! With their unique cork structure and tough resilient surface finishes, WICANDERS floors are as durable as you'll ever need them to be. A WICANDERS floor withstands years of wear and still looks as good as the day it was first laid. The cork inner structure in all WICANDERS floors is guaranteed to cut noise. The cork reduces sound transmission between and within rooms, creating a quieter, and therefore peaceful, environment in your home. 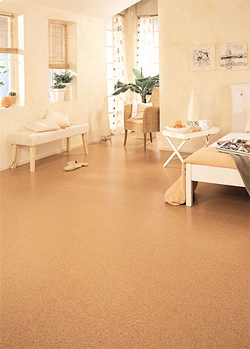 The unique characteristics of cork also ensure that a WICANDERS floor is more comfortable to walk and stand on. Cork's shock-absorbing properties relieve strain on your feet, joints, legs and back. The unique qualities of cork offer benefits other floors can't match. The natural thermal insulation properties make WICANDERS floors very pleasant to the touch, even with bare feet as they provide an optimal floor temperature all year round. WICANDERS floors come with surface finishes that put a stop to entrapped dirt, germs or fungus, thus actively contributing to a healthy and hygienic environment. The specialised surface finishes of WICANDERS floors make them easier for you to clean and maintain. A vacuum cleaner and a mop are all that is required to keep WICANDERS floors looking as good as new. Cork keeps trees alive! WICANDERS floors are made with natural products and in the case of cork, an outstandingly ecological material, thus providing an environmentally friendly flooring solution. Mindful of today's need for conservation, WICANDERS floors are a true environmental alternative.